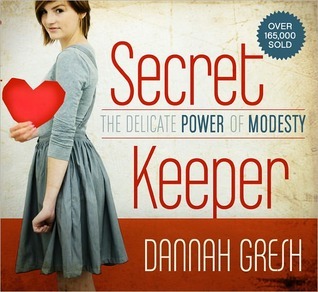 Dannah Gresh tackles a much need topic in modesty for young ladies. In a time when ‘anything goes’, Christian girls continue to want to fit in with their peers. What does the Bible say about modesty? Do these young girls need to wear dresses to their ankles and veil their faces? Dannah expresses to the girls that they are uniquely beautiful and God intends for that beauty to intoxicate one man that she will marry. Until that time comes, there are some basic guidelines to help a girl be more modest. “Modesty is the first line of defense for your purity”. In the ‘Bottom Line’ Dannah mentions that if girls reading the book are ruffled by these simple truths that they may have a love issue, an issue loving and obeying God even if what He commands is hard to swallow. Dannah shares hints on modesty as if she is your older sister helping you walk through the scary forest of life. Very insightful into young girls and the questions they seek on modesty. A must read book for this fashion crazed society. Kuddos to Dannah for tackling a difficult subject with grace and love.